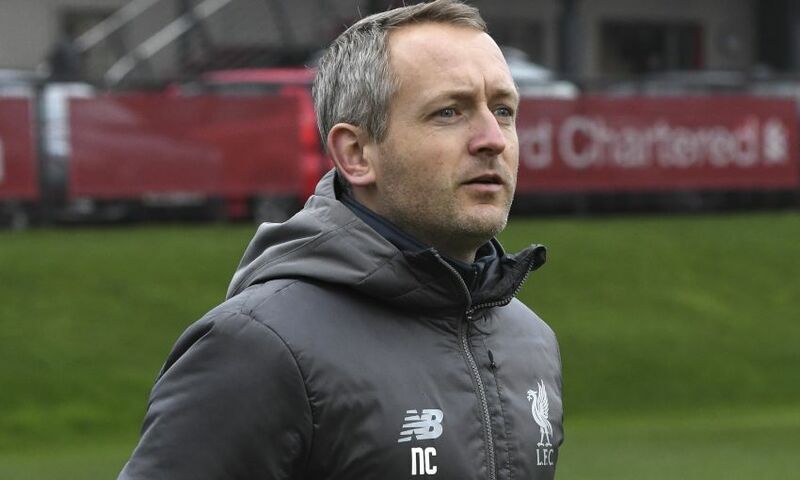 Neil Critchley felt Liverpool U23s' 1-1 draw with West Bromwich Albion was a fair reflection of the action at the Academy on Sunday afternoon. Matty Virtue’s long-range strike in the second half salvaged a point from the Premier League Cup tie, which could have been decided either way with a flurry of late chances at both ends. The young Reds, who lost Liam Millar and Curtis Jones to injury by the interval, must now gain positive results against Burnley and Bournemouth next month to qualify from Group C.
It was quite an entertaining game, there were lots of incidents. We didn’t start great, then we started to get a foothold in the game, and then we conceded. You then know you’re going to face a wall of West Brom players. It was difficult for us to break that down; we faced that when we played them away. It’s tough and we were a bit ponderous in the first half, not enough energy, crossing, shooting and running. I thought we improved in the second half, there were plenty of crosses and shots and we obviously got the equaliser. After that, tiredness kicked in a little bit. We had to make some changes due to injury and it looked a bit disjointed. We could have lost but we could have won it as well. I can’t fault the boys’ effort; we maybe could have managed the game better towards the end. That was obviously an enforced change – Liam came off holding his hip flexor and Curtis was feeling his groin, so we had to make two changes. Matty Virtue was playing his first game for a number of weeks; he was feeling his quad a little bit, stretching his quad in the second half, so we had to change him as well. But considering those changes, I thought the boys’ character and effort was first-class. The performance looked a bit disjointed and open towards the end. I’d say that was a little bit down to the positions we were playing in and fatigue. I’d have to see that back before I make a big judgement on that one. He did. It was capitalising on a mistake from the goalkeeper but it was a good touch. We’ve seen them go over the bar or wide – it was a lovely little clip over the goalkeeper. At that point in the game I felt we deserved that. After that, we didn’t show the control and patience we should have done, and it became far too open and we couldn’t live with their athleticism on the counter-attack. When we had the ball in their half, I felt more vulnerable than we should have done. Having said that, Adam has had a chance to win it, and Lazar, so it could have gone either way. A point is probably a fair reflection in the end.